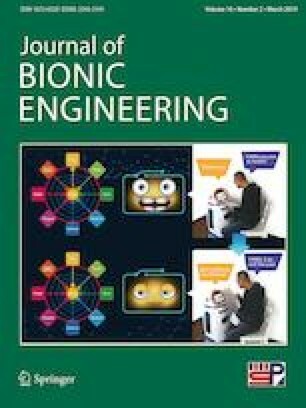 This paper introduces the design and control of a biomimetic robot fish for multimodal swimming. The biomimetic design consists of three parts: the rigid head, the wire-driven body and the compliant tail. The control is an improved Central Pattern Generator (CPG) with the high-level control command: (M, ω, B, R), where M is the amplitude, ω is the angular velocity, B is the offset and R is the time ratio between two phases forming one flapping cycle. This method differs from previous research in two aspects: (1) The CPG control is firstly implemented on the wire-driven robot fish. (2) The improved CPG model synthesizes symmetrical flapping in cruising and asymmetrical flapping in turning for the robot fish. The asymmetrical flapping refers to the asymmetry of the offset and the time ratio. This combination of the design and the control has several advantages over the existing multimodal swimming robot fishes. First, it uses just one driving motor for undulatory oscillation while the others need to use two or more motors. Second, with just one motor, the CPG control can be easily implemented. Third, the use of the time ratio, R, makes the robot fish turn more naturally and effectively. Experimental results show the robot fish achieved the maximum speed of 1.37 Body Length/Second (BL·s-1) and the largest turning rate of 457°/s. Additionally, in many swimming conditions, its Strouhal Number falls in the range from 0.2 to 0.4, which implies the robot fish is efficient. The authors would like to thank Mr. David Hao Deng, Mr. Yuning Zhang for their help in the experiments. This work is supported by the Hong Kong General Research Grants (No. 14212316, No. 14207017, No. 14204417). Feilich K L, Lauder G V. Passive mechanical models of fish caudal fins: Effects of shape and stiffness on self-propulsion. Bioinspiration & Biomimetics, 2015, 10, https://doi.org/10.1088/1748-3190/10/3/036002. Katzschmann R K, DelPreto J, MacCurdy R, Rus D. Exploration of underwater life with an acoustically controlled soft robotic fish. Science Robotics, 2018, 3, https://doi.org/10.1126/scirobotics.aar3449.